Every human being is equipped with intuition, or a sixth-sense, that informs us of what is going on in the world around us on a deeper level. Your intuition is more subtle than your 5 senses, however, and if you want to be able to rely on it as easily as you can rely on your sense of sight or smell, you need a method to work on developing it. 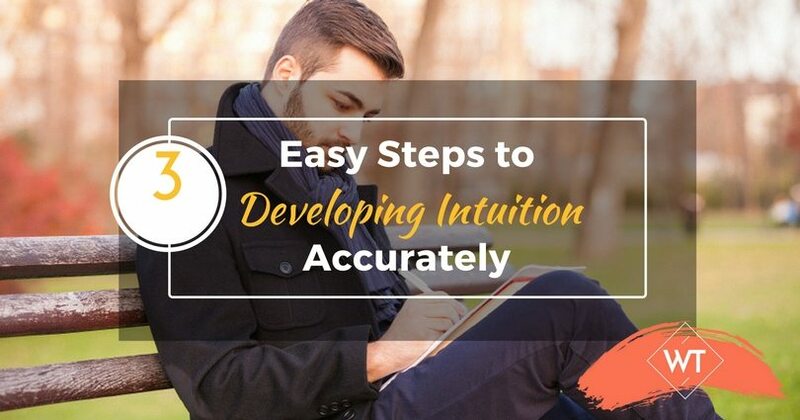 Developing intuition to be more accurate and reliable, comes with practice. If you’re not used to trusting your intuition 100%, it will take time to get used to letting it guide you. What you want to do first is set the intention that you will listen to inner guidance and to your gut feelings about people and situations, and that you will be very careful in how you ascertain things, careful to weigh what your analytical mind thinks, vs. what your intuition says or feels. Take your time when gathering information, and always, always check out your impressions through your inner guidance. For example, let’s say you have a feeling that you’d better not go shopping on Saturday because it will be too crowded and they won’t have what you want at the store. Before you make a choice, stop and ask yourself – “Am I thinking this because that’s what has happened in the past, or is this my intuition telling me I’d better stay home or do something else?” Be quiet for a moment, and listen. Still your mind. And then answer yourself. You can take it a step further, and test your impression by going shopping anyway, or you can just go ahead and follow what your guidance was. Keep doing this when you remember to, and in time, your intuition will start to work more often, more easily, and more accurately. In order to honor your intuitive choices, you must start taking notes of all of your impressions, hits, hunches, thoughts, and feelings about the situations and people in your life. Document choices you have to make. Record your problems and issues. Then, start documenting what happens when you make choices based on your intuition. Record keeping lends an air of respect to your intuition, and helps you see your progress as you become more and more comfortable utilizing it in your daily life. So many of us are fearful of being wrong. But intuition works in very subtle ways, and even something that feels wrong to you might end up being right in the long run. 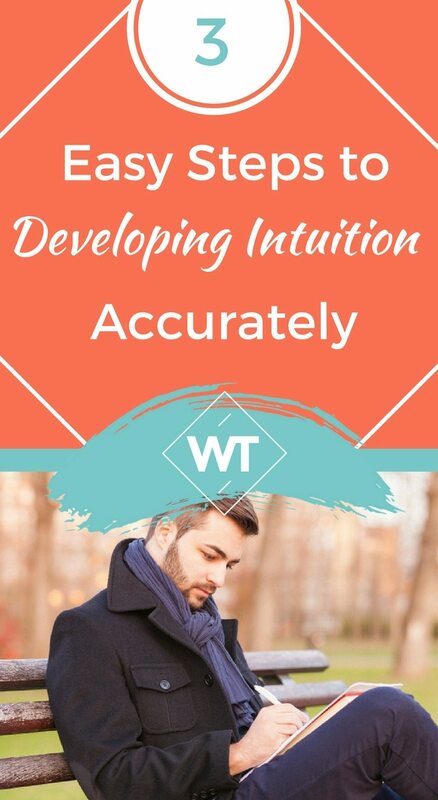 When you make a game of things, and suspend worry over having 100% accuracy all of the time, your intuition will flourish and become more reliable. Make it fun. Developing intuition is almost like learning new skill, the more you practice, the better you are. It integrates left and right brain functions, giving you a more complete perspective on issues. Be light. Don’t punish yourself if your intuitive hunch wasn’t quite what you thought it would be. Write down what happened, and then notice later on if things change, or if there was a reason behind your choice. The more dedicated you are to using your intuition, the more you will see it working for you. Once you make the commitment, all you have to do is follow through, and keep testing it and testing yourself until you know with certainty that your intuition will not lead you astray. And it won’t. Your intuition serves to protect you and your loved ones, to make sure that you are safe and happy. It works in your best interest, and the more you realize that, the more and more it will work for you with reliability and accuracy.